RAH members construct boxes to collect food for the initiative. From left to right: Sue Gould, Basel Tarabein, Gail Bergstrom, Maria Radwan, and Marty Eich. When a group of realtors began to notice the hardships that families face in their everyday lives, they knew they needed to do something to help. That’s when Realtors Against Homelessness (RAH) started last year. The group held a fundraiser last fall to benefit students facing homelessness in the District 211 area. 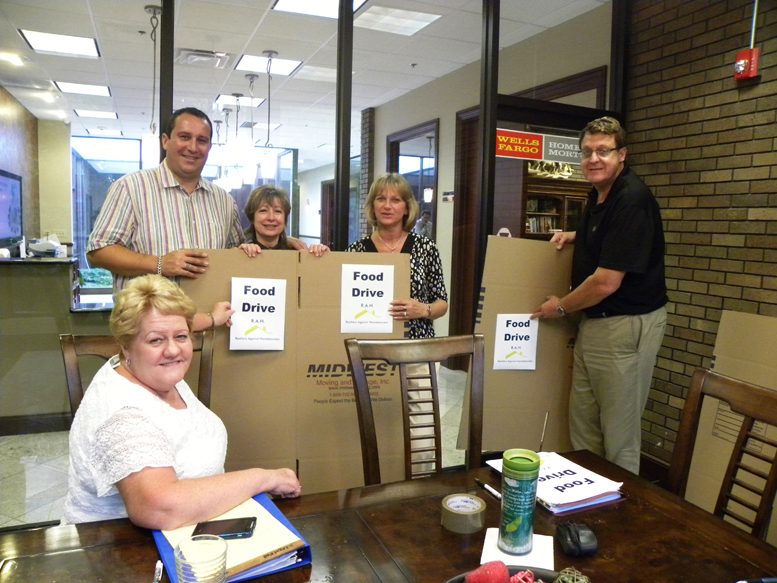 The most recent initiative that RAH is spearheading is a summer food drive that partners with businesses in the community. Eich said the idea to have a summer food drive was conceived from an article one of the group members read. Sue Gould of Prudential Starck organized the effort after reading that it’s harder for students to find adequate nutrition during the summer months. She said many food pantries find it hard to keep food stocked during the summer months because people generally think to donate when the weather is cold or around holidays. The group, which consists of realtors from six different offices, including RE/MAX at Home, Prudential Stark, Baird and Warner, RE/MAX Suburban, Coldwell Banker, and Keller Williams, put together boxes for local businesses to participate. District 211 is one of the organizations partnering with RAH for the food drive, which will last through the entire month of July. RAH member Maria Radwan stands next to food collected at a local supermarket. 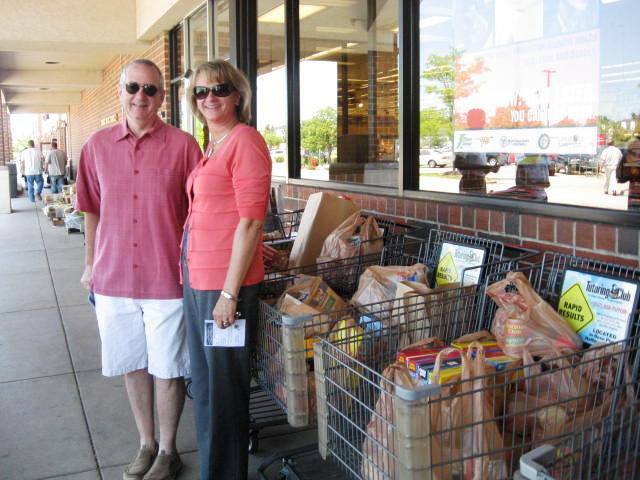 On Friday, July 13, agents from Baird and Warner will be at the Jewel food store in Hoffman Estates on Palatine Rd., between 9 a.m. and 3 p.m. collecting donations. This is the first time the group has done a food drive. Eich believes it’s important to help out the communities we live in. If you wish to contribute to the food drive or learn more about RAH, contact Cindy Eich at (847) 721-5580 or Sue Gould at (847) 309-5404.